Ever wondered what the world would be if playing cards were not invented? Can you imagine drinking nights if cards were not around to make things more interesting than the normal ranting you do whenever you get drunk? 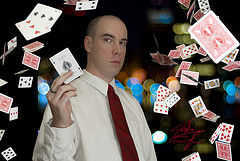 While not limited to drinking, cards can be considered as a drinker's best friend due to the number of card drinking games that have been played throughout the years. Some are originally made just for drinking while others were adopted to be more fun and exciting to be accompanied by beer. One of those is the drinking card game Kings. 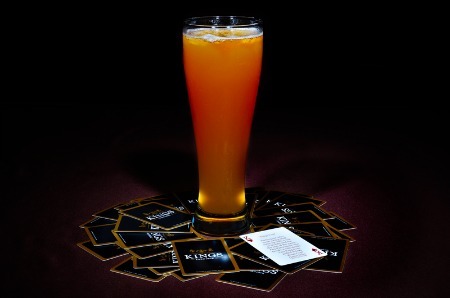 The drinking card game Kings is one of those adopted into a drinking game like Texas Hold'em and the child-friendly card game Memory. This game involves a deck of cards, lots and lots of drinking and players who wants to get drunk by the end of the game. While it may have slightly strict rules, I am sure that every person will be able to pick it up by the middle of the game. The only downside (or good side if you wanna see how a drunk friend acts) is that it may be difficult to remember the rules once the players are already intoxicated. Every one in the group should drink. You can take as many sips as you want. You can choose who among the players will take a sip. Choose between the player to your right or left and let him/her take a drink. You get to choose a subject and every player should be able to give something related to it, failure to do so will result in drinking. You can ask any member of the gang a question and after answering it, they must drink as well. For every player that gets this card, they will be entitled to pour some drink on a cup in the center of the table. The player who will draw the last King card will be required to drink the concoction made by the previous three who got a King. The whole group states an experience they never had by starting it with "Never have I Ever"
Termed "Zip Boing." You start by saying "Zip" while other will follow suit. The direction goes back to you when a player says "Boing." If you are really looking for a card game that packs punch and laughter, then go for a Kings drinking game. The whole gang is sure to enjoy a relaxed night while playing any version of this widely popular game.